There are some moments of sadness and grief in the life of your loved ones when you have to cheer them up. A special gift can make them smile and happy. Yellow Roses are well-known for their cheerful, happy and get well features. 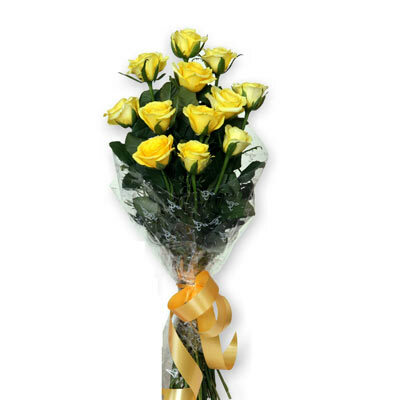 This joyful bunch of long stemmed 12 yellow roses with green leaves is a bundle of happiness for your loved ones.